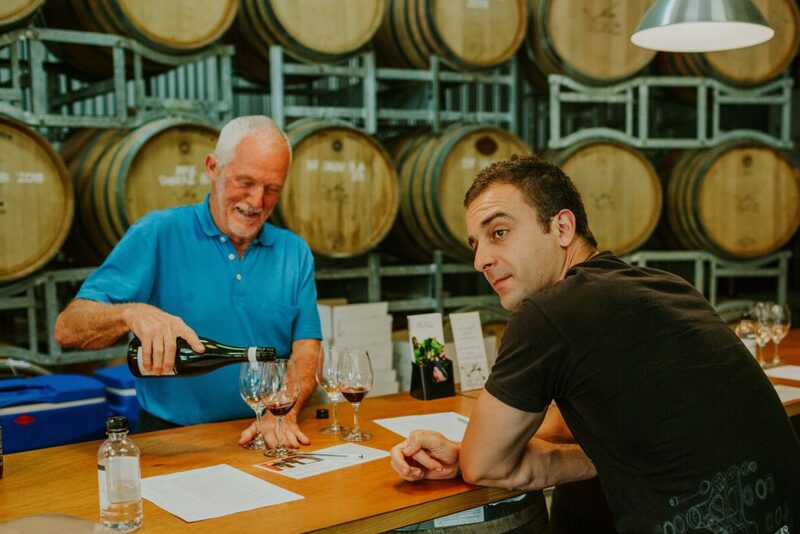 A list of the “Best Cellar Doors of 2019” according to Gourmet Traveller WINE has been released for the Granite Belt wine region and we’ve put together some tips for you for how to access these cellar doors experiences! There’s seven on the list, so it’s possible to do them all on your next escape to wine country. 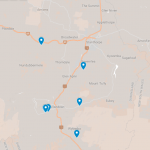 BEST TIP: Let a local cellar doors expert do the driving and the guiding for you! There are wine tour guides who can customise a tour for you. Just enquire when you book, requesting to see the Gourmet Traveller WINE Best Cellar Doors and they’ll customise a tour for you! Find local wine tour operators. Tobin Wines took out the top gong for ‘Star Cellar Door’, which will be no surprise to its throng of fervent fans. Many a wine-lover has been utterly enchanted by Adrian Tobin’s passion and knowledge during a wine tasting session at Tobin Wines. 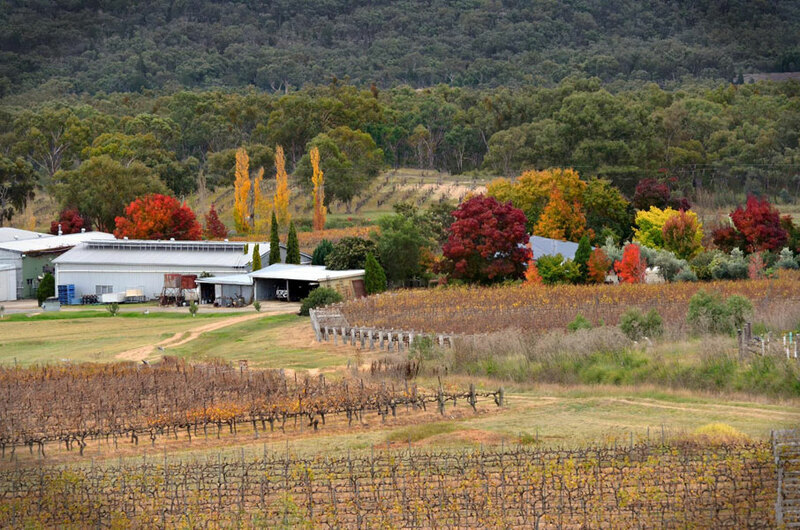 Tobin Wines is open 7 days, so no need to plan ahead fo this must-do cellar door experience. 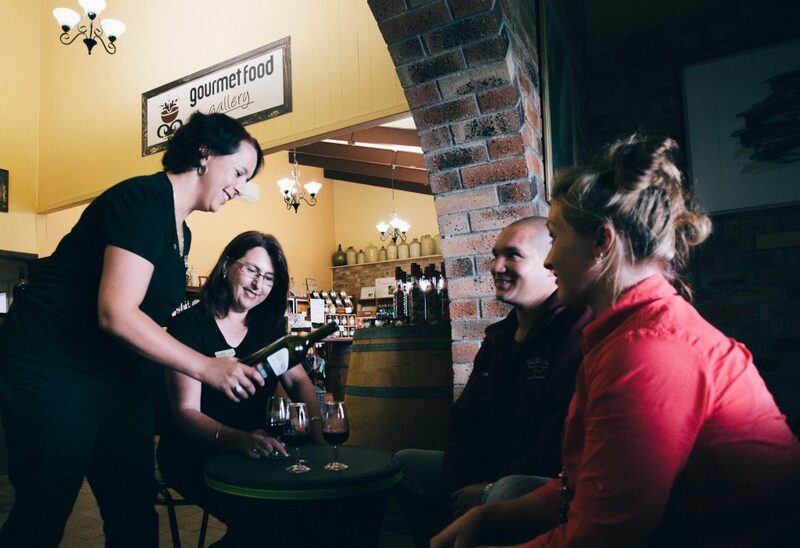 Queensland’s oldest operating winery is also the Granite Belt’s ‘Best Large Cellar Door’ according to Gourmet Traveller Wine! A visit to Ballandean Estate Wines has long been a must-do on the Granite Belt wine trial, but this new gong is further evidence that the Puglisi’s family are still leaders in the Queensland wine industry that they pioneered in its early days. Known for their wines produced from old vines – some of the oldest on the Granite Belt, it’s been the new releases of rare varieties that’s had people talking in the last year. Drop by any time – Ballandean Estate is open 7 days. It’s a delight to see relative new-comer, Balancing Rock Wines taking some limelight as the ‘Best Small Cellar Door’. This cellar door has natural beauty in bucket-loads, with the granite boulders of the Wyberba valley area overlooking it and the label itself taking its name from a distinctive heart-shaped balancing rock which sits amongst the Shiraz vines. 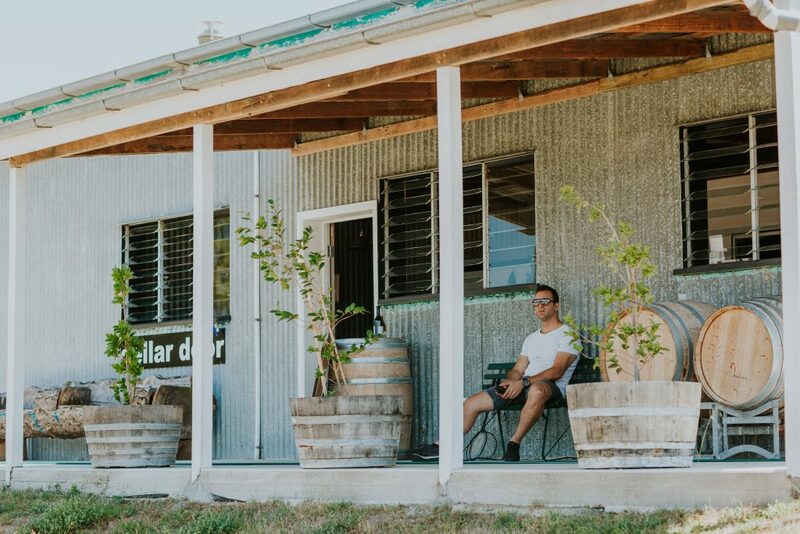 David and Lorelei Broadbent established the Balancing Rock brand, taking this cellar door towards new found destination status since only 2016. The are open to the public Friday through to Monday. Symphony Hill Wines, awarded ‘Best Tasting Experience’ is really one to visit – and there is an extra reason why you should get there soon. Right now they are offering tastings of all three of their wines which are currently being served on Qantas Business Class. Read more about their ‘Business Class’ wine tastings. Ewen and Elissa Macpherson are big on spoiling their guests, so all their reserve range of wines are open and waiting for your visit, 7 days a week! And what is this ‘Additional Experience’ that Gourmet Traveller WINE has awarded Casley Mount Hutton Winery for? It’s their a vertical tasting experience. For those unfamiliar with the concept, it’s tasting the same wine type from one winery, across various vintages. Grant and Sonya Casley personally offer vertical tastings and tours to visitors. All cellar door visitors are given a privileged behind the scenes look at the workings of the winery and vineyard – a personalised touch that makes this boutique winery stand apart from most. 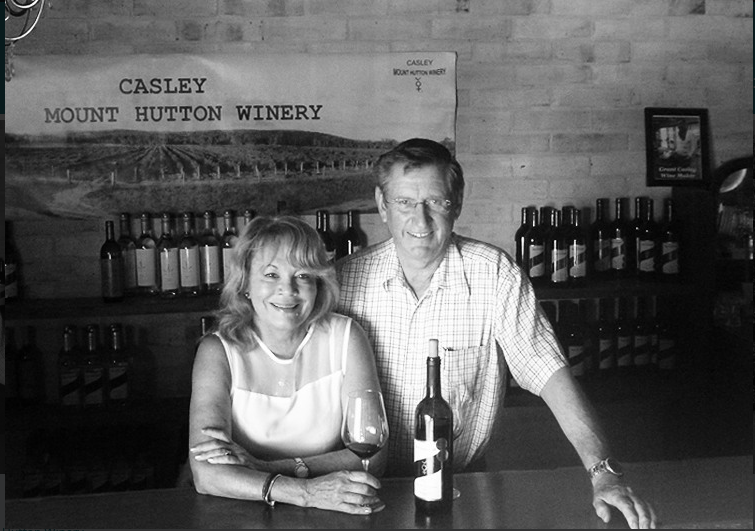 Casley Mount Hutton Winery is open Friday to Monday. A popular wine destination for decades, Golden Grove Estate offers tastings 7 days a week. 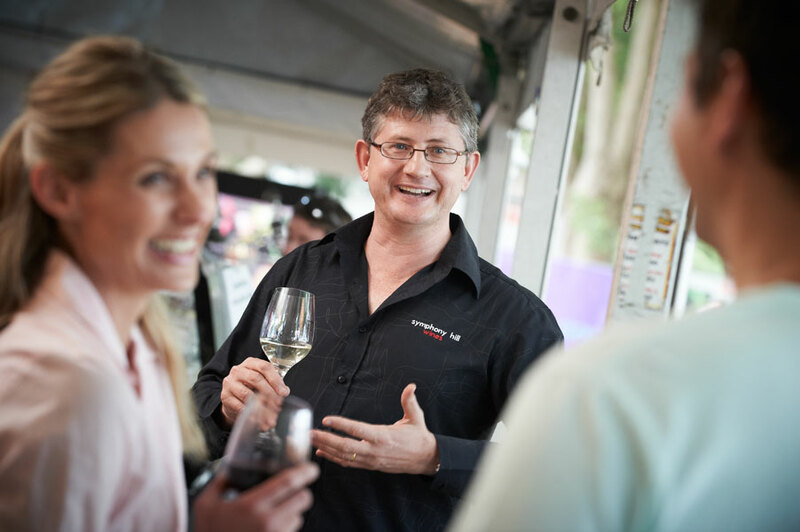 But it’s for the foodie events that Gourmet Traveller WINE are putting Golden Grove Estate high on the list to experience this year, with events in July and December coming up. CHRISTMAS IN JULY BRASS MONKEY SEASON – Celebrate “Bon Natale” in July with a Sicilian twist. Chef Jason Costanzo entices with foods his Sicilian family traditionally have for Christmas. THE WINEMAKER AND THE CHEF SEAFOOD DEGUSTATION DINNER – The two brothers Ray Costanzo (Winemaker) and Jason Costanzo (Chef) work together to match the Golden Grove alternative varieties (Strange birds) to foods with a Mediterranean flavour. Early December. You’ll want to plan ahead – they are sell out events! So to stay in the loop with event dates and ticket sales, join the Golden Grove email list via the sign-up form on their homepage. Savina Lane Wines has been awarded for its Additional Experience – their Mailing List… and truly it’s a wine club to know about! 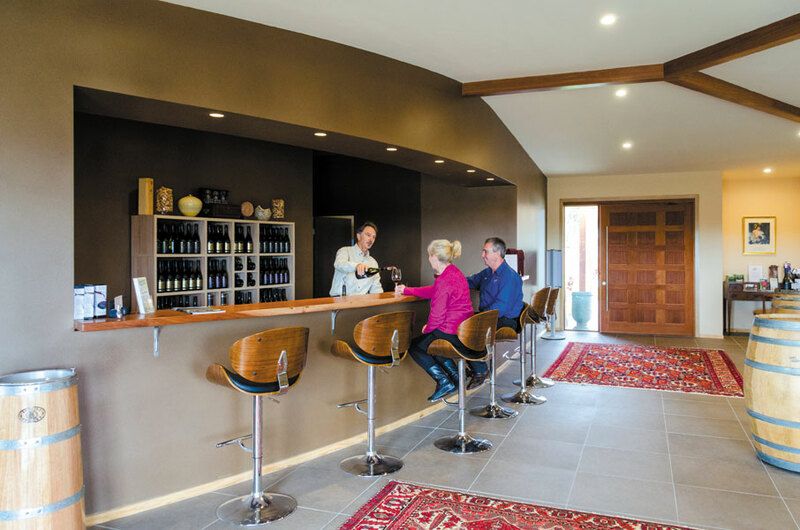 During 2019, Savina Lane’s cellar door will be open to the public only 10 weeks, but the winery’s Inner Circle members can phone up all year round and the cellar door will be opened to them. Members buy premium wines at wholesale prices and have first choice of limited new releases. Talk about a membership with benefits! Savina Lane reopens to the public on 22 June 2019 and will open every Saturday and Sunday 10am to 4pm after that until last weekend of August.